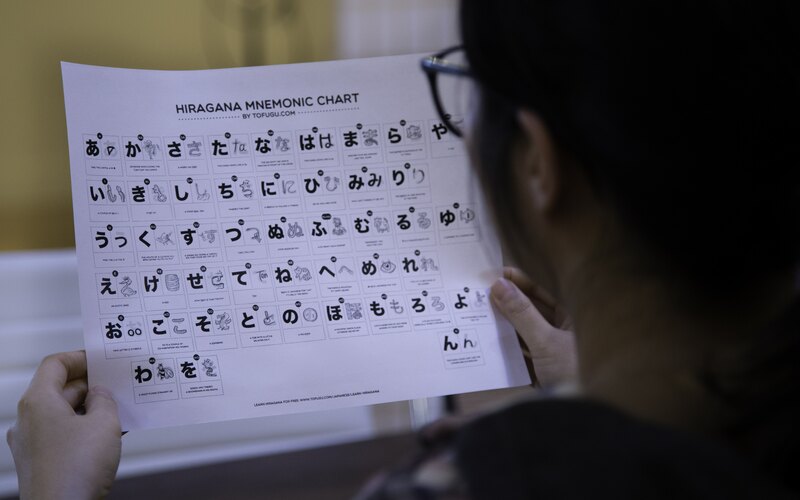 You've already seen our "Learn Hiragana Guide" (at least, I hope you have). 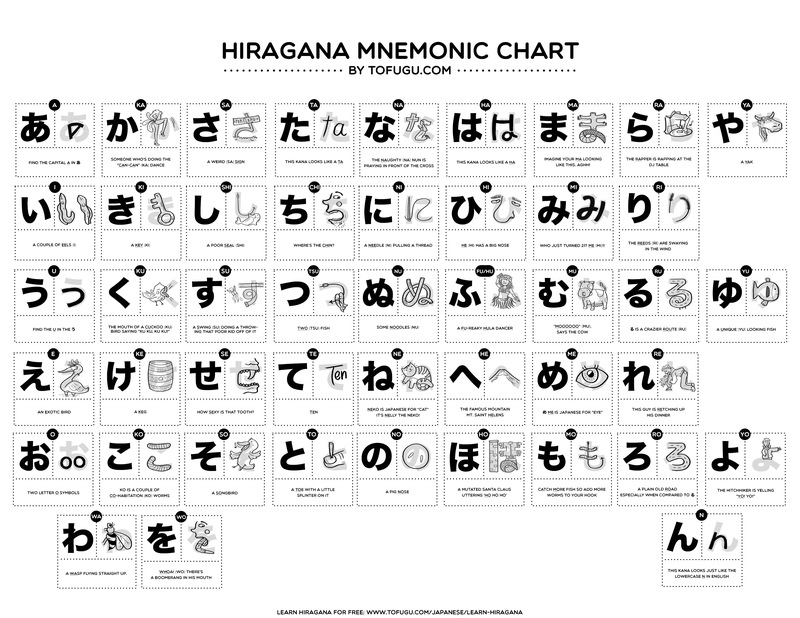 It teaches hiragana using mnemonics, exercises, and worksheets. If you follow exactly what it says, you'll be able to read hiragana sometime later today. The only thing it was missing was a hiragana chart using the visual mnemonics. 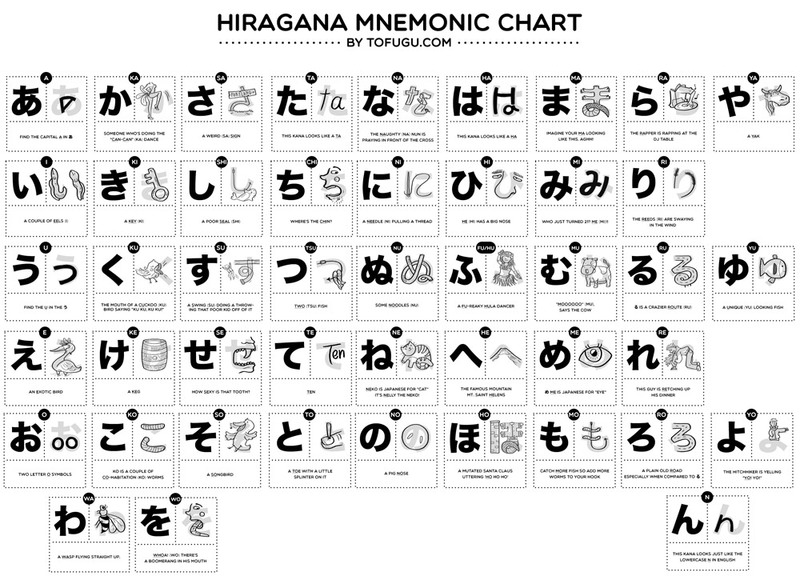 I present to you the "Hiragana Mnemonics Chart," by Tofugu. Go ahead and download it, it's all yours. The chart fits on a standard 8.5x11 inch piece of paper. Print it out and enjoy it in your hipster 3-ring binder and on your bathroom wall. Give it to your Japanese teacher for extra sesame grinder points. Coming up next will have to be a similar chart for our learn katakana guide. Enjoy!